An old friend with new avionics.. Yes indeed... anyone know if those user 'autogyro' mods would work in v2? I believe that Autogyro is having a look at the very same thing.. In response to requests, I have now also added a revamped popup GNS530. 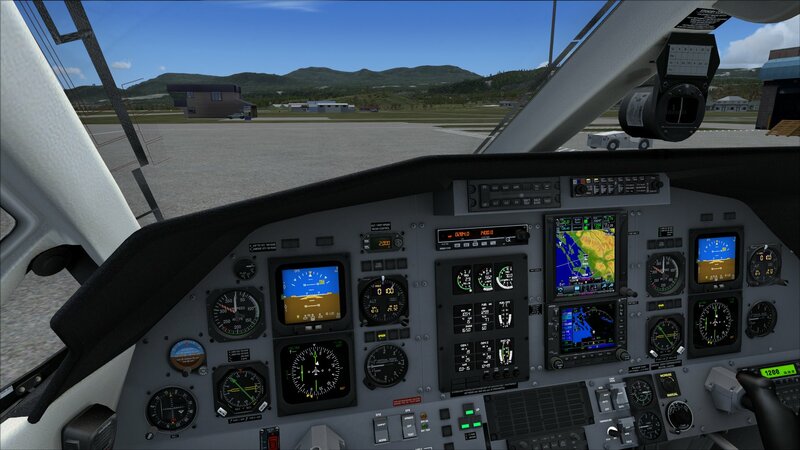 The GNS can be used to drive the autopilot, by right clicking the memory card slot on the GTN750, which toggles the GPS source between the GTN and GNS. This can be useful if you have an FSX flightplan loaded or you want a Direct-to an FSX airport that is not in the GTN database. Request V3 from me via PM, including your email address. Update.. I have now combined Autogyro's, Marcel's and my fixes for the PC12 / GTN combination. Please request via PM with your email address. Are there any tweaks that allow the F1750 to drive the Mustang ver2 autopilot?